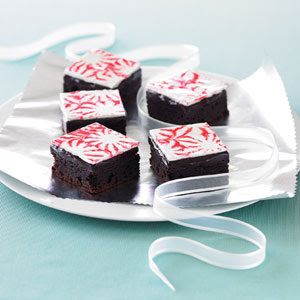 How pretty are these Peppermint-topped Brownies!? So pretty and peppermint-y... love it! Perfect as a gift for the neighbor, wrap a few up in a shiny tin and tie on some red and white bakers twine. Pretty and peppermint... perfect!